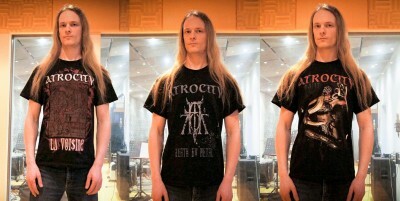 Atrocity – Official Website » The new shirts have arrived! The new shirts have arrived! The new merchandise has arrived at MASTERSOUND STUDIO and it looks awesome! Now you can get your hands on one of the new designs!